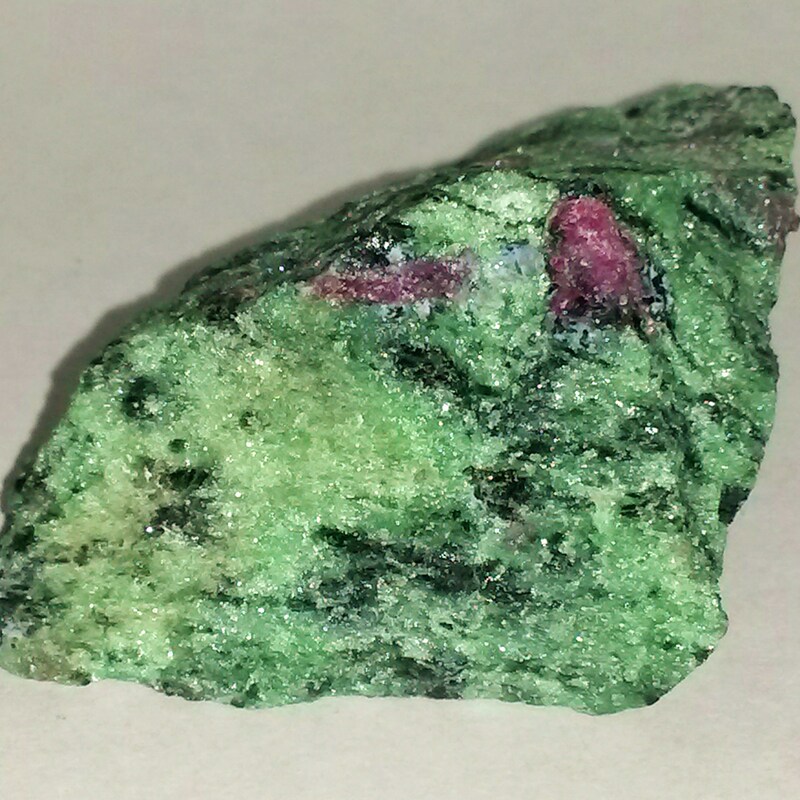 Up for auction is a piece of red ruby in zoisite. 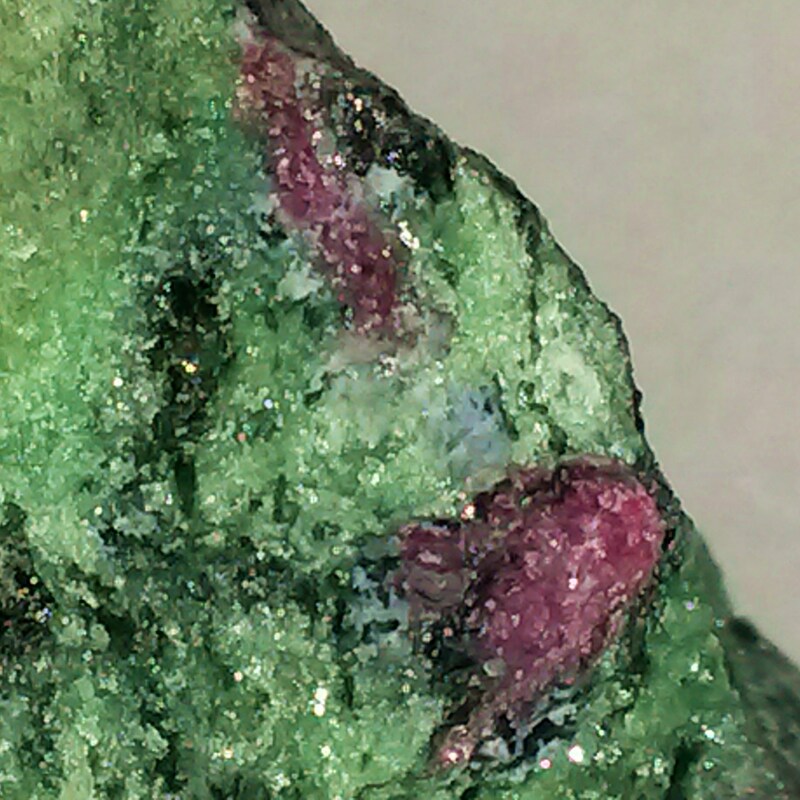 Please see the photos that show some of the ruby. There isn't a huge amount, but what is there does look quite nice. 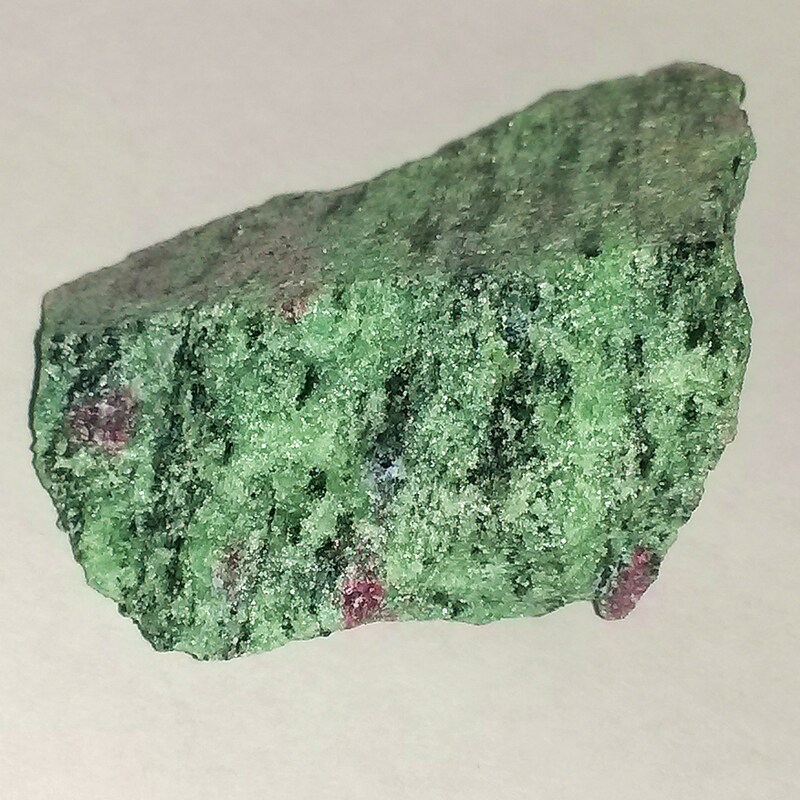 The stone isn't polished and I haven't wet it, so there may be more ruby than what I can see. 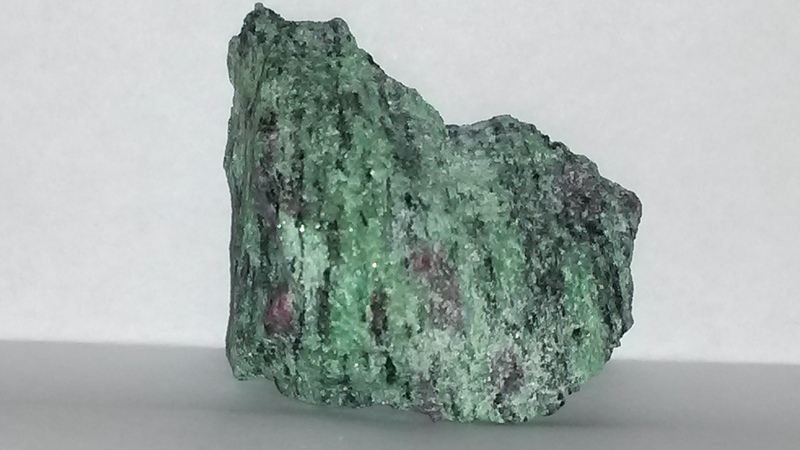 It would be suitable for cutting up into jewellery pieces or kept as a display specimen. It does look lovely on the shelf! I am selling this piece because I have a few and want to make some room to collect some new pieces I don't have. 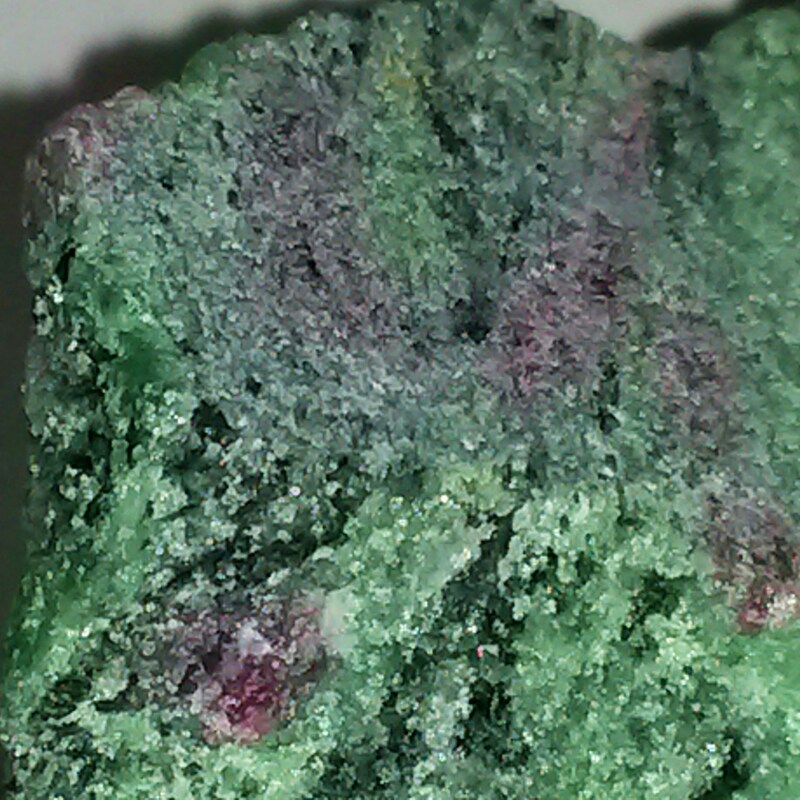 The photos were taken with a flash to try and show the colours better. I am not an expert, but if you have any questions I will try and answer the best I can. If I don't know, I will say I don't know! Postage is $7.45 for anywhere in Australia. You can combine up to 500g (including packaging) for that price. Express postage or signature on delivery is available on request. Please request those options before paying, otherwise your item will be sent standard post.